If you’re in the recruiting business, you know finding good, qualified talent is no easy task. It can take months and hundreds if not thousands of dollars to fill those open positions. More frustrating is that these issues stem from simply not being able to get the one-on-one facetime that you need with a candidate. The competition that exists on social media and job boards between companies looking for the best talent make it tough to hone in on the candidates you want. But, there is something you can do: participate in industry events. Recruiting events give you the opportunity to reach candidates like never before. Learn how: Tweet This! When conducting an event it’s best to advertise ahead of time to get the word out. This is where outbound email becomes your best friend. Not only is it easy to send communication out, it’s also very cost effective. Created a targeted list of candidates, as targeted as you can get, and market to them to get your highest event ROI. The process you create should also consist of landing pages and easy contact links so attendees can communicate and seek any extra information they may need. The easier you make it for them the better, and the more responses you are bound to receive. This will in-turn make it easier to funnel through candidates in the future once their information is added into your CRM system. Hosting a talent recruiting event brings in a wide variety of qualified candidates, but it doesn’t stop there. It’s important to go around and actually engage with all of your attendees. That means shaking hands, asking questions, and getting to know them to see if they are the right fit for your company. At the same time, candidates will also be learning about your culture, your values, and more. In addition to engaging during the event, contacting candidates afterward is just as important - even if it’s just to give them follow up feedback. Events can be used for great talking points as well, again to engage, but also build brand and is the perfect way to start a continuing relationship with your talent pipeline. 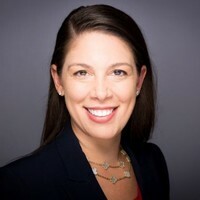 When candidates attend events they are more likely to stay connected and interested in the company, even if they aren’t the best fit at the time. This allows you to build your network while opening and deepening your relationship with current and future potential candidates. In order to use this event to its fullest advantage, ensure that this process and information is available to your entire team. It may be beneficial to conduct an overview meeting, and have everyone carry business cards and little notepads with them while they mingle during the event. Recruiting events give your company the opportunity to reach candidates like never before while also showcasing your abilities as a company. Still not sure about setting up an event of your own? Let us help! Learn more about Oleeo Event Management. Make the old new again. Remember help wanted signs? Well, there is a way to recreate advertising for your event in real life! Look to nearby restaurants, bars, and shopping areas to advertise your presence at a career fair. Double down on this traditional take by posting on Yelp reviews and Foursquare reviews from people who visit these same places! Go mobile. Did you know you can advertise via mobile just to a specific area with social media? You can! Draw a radius around a business park, military base or community or university you want to recruit from and advertise your event. Advertise alongside tunes! Nearly everyone listens to music, whether it’s old school radio stations in their cars or via streaming stations like Spotify and Pandora. You can purchase ads on stations you think your target audience will be listening to and get the word out that way! Let’s get competitive. Ignite the competition in your target audience by inviting them to scavenger hunt, creating a puzzle to solve (those who do get an on-the-spot interview!) or give away swag to those who get to your booth first. Create scarcity by only having 10, 50 or 100 of a certain item so people are rushing to fill out your applications. 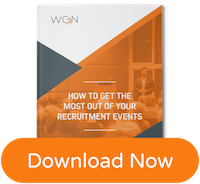 Download our latest guide to help you get the most out of you recruitment events!